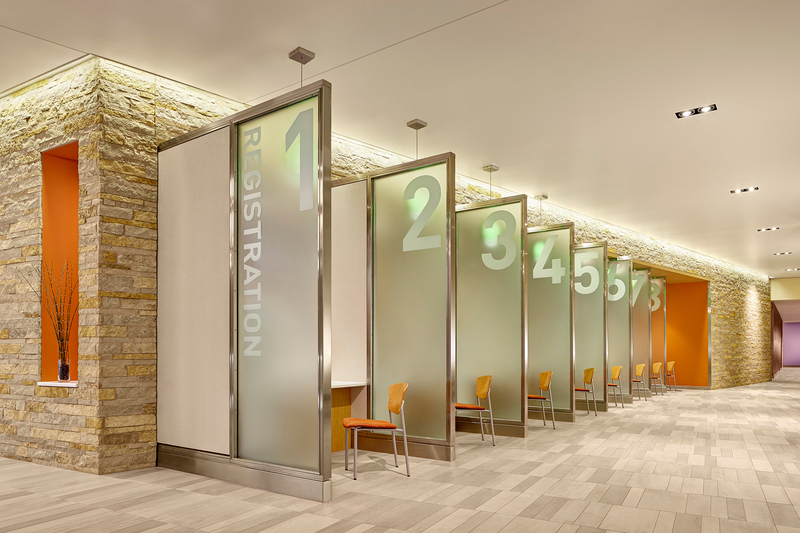 Design is playing a larger role in how people are selecting healthcare facilities now more than ever. As a result, design firms are being charged with creating inviting family- and patient-centered environments. The scale and frequency of tile specification means that this product sector has the opportunity to transform the entire medical experience. Dutch tile manufacturer Mosa is well poised to serve this market. As the world’s first and only tile company to have a collection gain full Cradle to Cradle® Silver certification, Mosa prioritizes sustainability from concept to creation. ProHealth Care Cancer Center. Photography by Craig Dugan. Sustainability influences CannonDesign’s selection of products and materials. 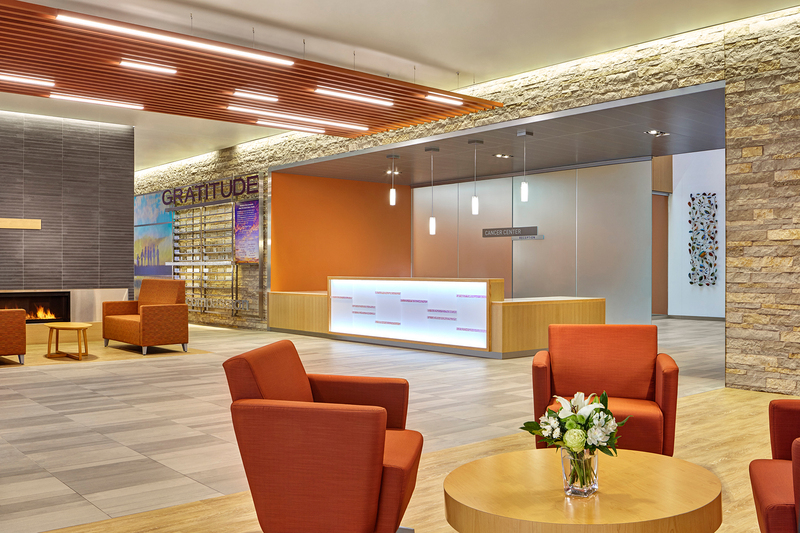 So when the firm was commissioned to design the UW Cancer Center at ProHealth Care in Waukesha, Wisconsin, it chose Mosa tiles for the project’s floors and accent fireplaces. 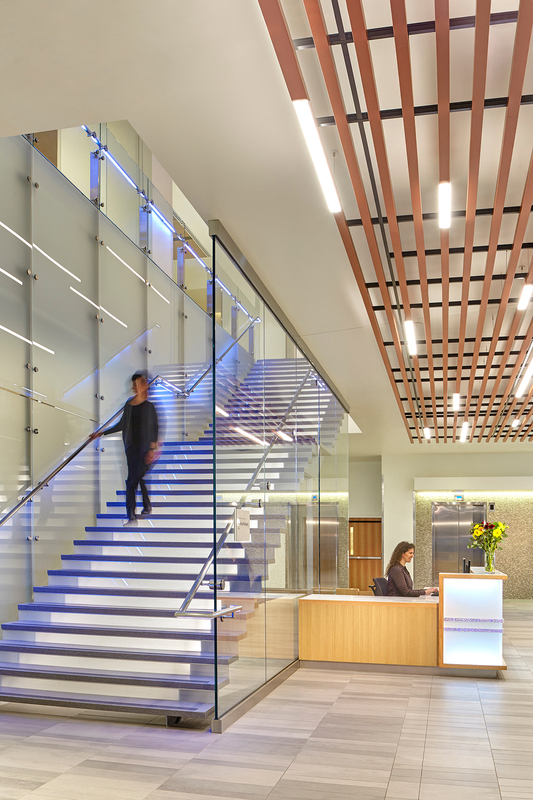 In addition to green qualities, CannonDesign credited Mosa’s organic appearance and high-tech performance as deciding factors in specifying Mosa’s LEED-contributing products. The nature of healthcare design demands durable products with proven reliability. 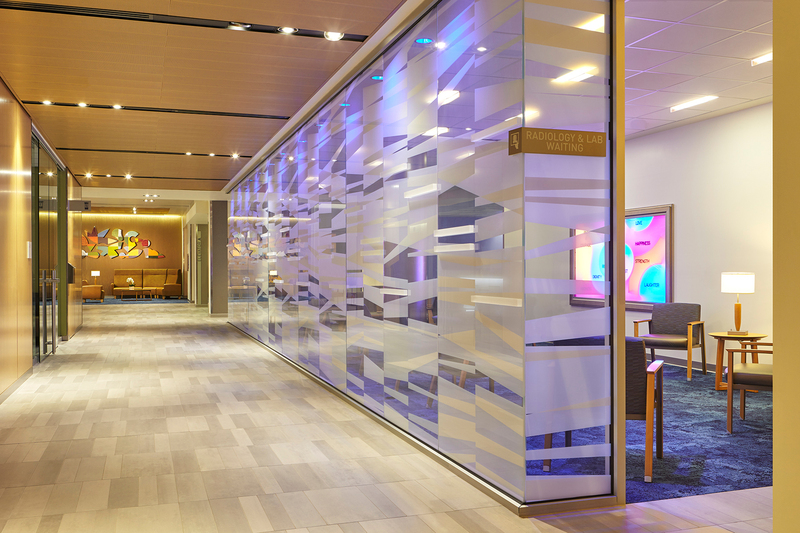 Mosa’s team of in-house designers engineered both Terra Maestricht and Terra Tones to withstand high-traffic environments, lending them more than enough resilience to safely anchor the UW Cancer Center’s busy multiuse spaces. The heavy-duty collections feature precise face dimensions and rectified edges that guarantee a sleek, smooth appearance, even after daily wheelchair use. Wisconsin’s salt-heavy winters are also no match for the collections’ above-standard frost- and slip-resistance.